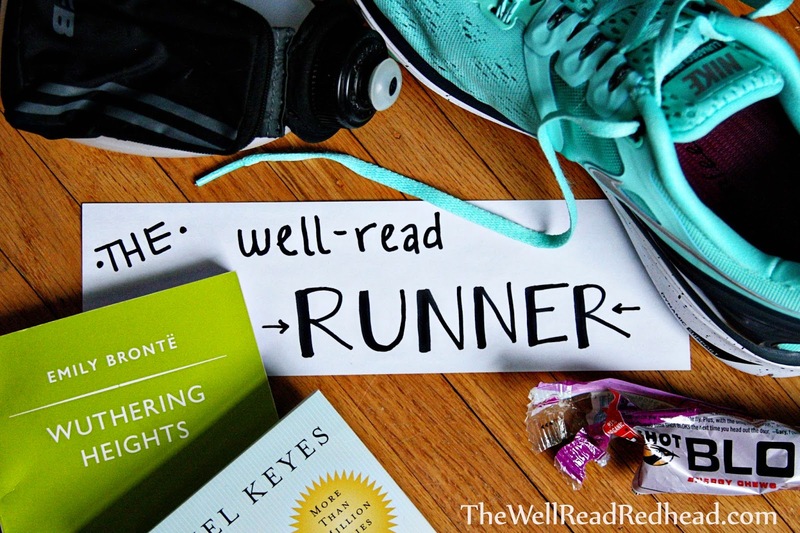 The Well-Read Redhead: The Well-Read Runner: SHOES! I had a problem also with sloping shoulders hurting my knees. I run where there is not too much traffic so try to make an effort to run in the middle of the road, or run against traffic rather than with it. Anything to add variety and not run constantly on a sloping road. Re:the humidity, exactly! I can always put on another layer in the snow, but I could be naked in the humidity and still uncomfortable...haha. Though the first 5 minutes of any cold run is always hard to push through. BTW, buying 2 pairs of sneakers is brilliant ! I get so worried every time the manufacturers change the model. Yes, I was so happy he did this! I know the Lunar 5's are probably not all that different, but when you KNOW something works for you, it's hard to change. 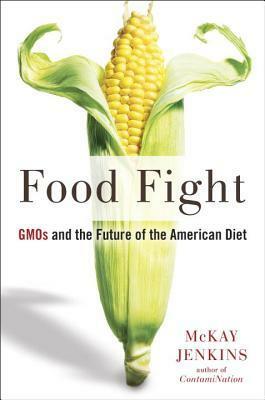 Kelly, I'm so glad that the non-caffeinated GU seemed to make a difference and that you were able to have it with no stomach problems; that's great! TWO new pairs of running shoes?!? I'm so jealous! That is awesome! I love my FlipBelt; I just recommended it to Sarah (at Sarah's Book Shelves) because she's had a hard time trying to find an armband that she likes. I gave up and just got the FlipBelt - ha! Um, sadly, I try to get away with running down the middle of the street as much as possible...yikes! We have some highly-cambered streets around town, especially downtown, which I try to avoid as much as I can. It's a pain - literally! Thanks so much for linking up with the blog, Kelly; hope your Monday is going well! I haven't been brave enough to try the middle of the road yet, but I've found that even a little bit over the white line into the traffic lane makes a world of difference! Great training recap! I am impressed you ran after your 'festive' Saturday evening - well done! I really need to focus on the speed work, those distance repeats. You've inspired me. And I'm very jealous of the new shoes. I feel like I need another pair so I can rotate. And I'm interested to hear what you think of the FlipBelt. I have a SPIBelt that I like, but sometimes I just want to carry MORE! Not sure if you saw my post from this past Sunday, but the FlipBelt was a no go! Rode up on me pretty quickly. 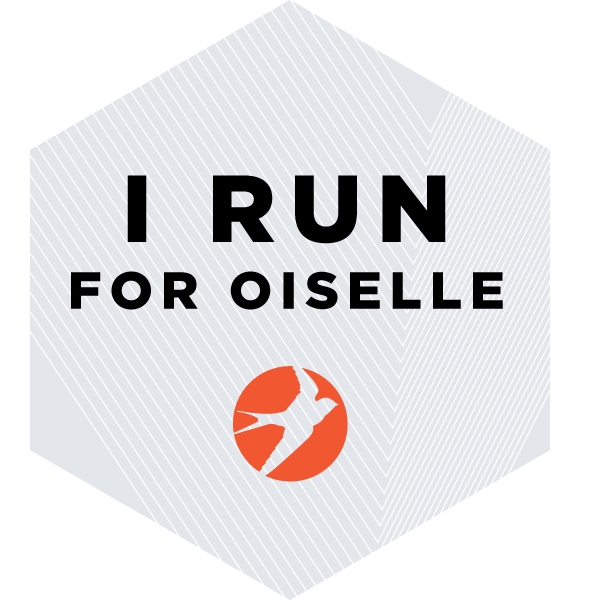 Such a bummer since I'd heard the opposite from so many runners. Ah well...off to find another option! Thanks so you and Tara for solving my iPhone armband problem! I got an iPhone 6 recently and hate the new armband I got...especially when wearing it sleeveless. Going to try out the flip belt. I can't wait to hear how the Flipbelt works for you, since it was kind of a dud for me. I hope it does help you out, because I TOTALLY understand how annoying the armbands can be! How wonderful to receive two pairs of shoes! 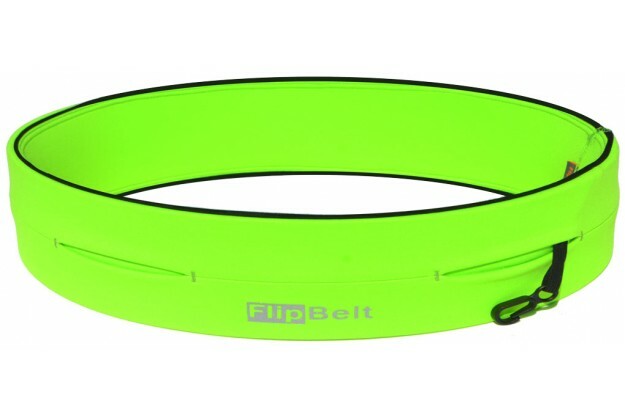 I've been wanting a lime green flip belt! There is not much traffic where I run so I switch sides of the road so that one side is not always taking the slope. It is so humid where I live. I don't run well in it but some people seem unaffected. And, I'm always amazed by that. Good luck with your half marathon! I suppose if you're in it all the time, it gets a little easier with time...maybe?? :) I've run twice in Florida on different occasions, and both of those runs were just miserable for me! Haha, YES! I'm a serious lightweight right now!! I think we are kindred spirits. I have bunions too and the wide toe box is a necessity! I don't run in Nikes though. Only because I haven't tried them. I have grown pretty partial to Mizuno! That's good to know! I don't mind my Nikes right now, but I would love to have other options in the future. It's just been so hard to find something that works.